Great pair of pliers. I really like the old school style of these, without the fancy grips, gives it a vintage feel. I use these as as a spreader tool, not just for retaining rings. They will open to about 1-5/8" OD. I needed this pair of lock ring pliers to fix a transmission, so I began looking for a vedor and KC Tool was the cheapest one and seemed like the best place to get it. After I placed my order the pliers were quickly shipped and I recieved them in just a few days. They work wonderfully for every lock ring that I have removed and I am thoroughly pleased with my transaction and will do business with them again when I need more tools. 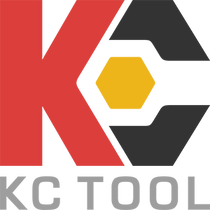 I highly recommend KC Tool as you tool depot.